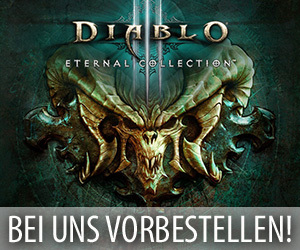 Die Entwickler von Blizzard haben in der vergangenen Nacht ein neues Update für die aktuell noch immer laufende Beta zu Warlords of Draenor veröffentlicht. Dieser Build 18522 hat neben den für solch einen Patch üblichen Klassenänderungen auch wieder einige neue Rüstungssets für die verschiedenen Klassen und Modelle für die Gegner und NPCs in Draenor mit sich gebracht. Alle bisherigen Erfolge aus der Kampfgilde wurden nun mit „Season 1“ markiert. Schneider können nun den „Creeping Carpet“ als neues Reittier herstellen. Die „Schneider only“ Voraussetzungen wurden von allen Teppichen entfernt. Das neue Szenario „The Trial of Faith“ wurde in den Daten gefunden. PvP Designer Holinka hat sich als NPC verweigt: Harms-Master Brolinka Jr. Enhanced Fallen Crusader now grants 3% more healing, down from 7%. Conversion converts Runic Power to health, restoring 2% of maximum health per 1 sec lasts until canceled, or Runic Power is exhausted. Death Knight – LvL 75 Talent. 5 Runic Power, plus 5 per sec. Instant. Entangling Roots Roots the target in place for 30 sec. Damage caused may interrupt the effect. 6.5% of Base Mana. 35 yd range. 1.7 sec cast. Hurricane is now a Solar spell. Moonfire is now a Lunar spell. Thrash Thrash all nearby enemies, dealing immediate physical damage and periodic bleed damage. Damage varies by shapeshift form. Melee range. Instant. Cenarion Ward Protects a friendly target, for 30 sec. Any damage taken will consume the ward and heal the target for [ 293.3% of Spell Power ] over 6 sec. Druid – LvL 30 Talent. 9.2% of Base Mana. 40 yd range. Instant. 30 sec cooldown. Dream of Cenarius Increases healing from Healing Touch by 20%. Each time you reach maximum Lunar or Solar Power, your next Healing Touch is instant and will cause your next Starsurge not to trigger its cooldown. Druid – LvL 90 Talent. Heart of the Wild When activated, dramatically improves the Druid’s ability to deal melee damage, cast spells, and heal.Druid – LvL 90 Talent. Instant. 6 min cooldown. Heart of the Wild When activated, increases all healing done by 25% and dramatically improves the Druid’s ability to tank, deal melee damage, and cast spells.Druid – LvL 90 Talent. Instant. 6 min cooldown. Heart of the Wild When activated, dramatically improves the Druid’s ability to tank, cast spells, and heal for 45 sec. Druid – LvL 90 Talent. Instant. 6 min cooldown. Heart of the Wild When activated, dramatically improves the Druid’s ability to tank, deal melee damage, and heal. Druid – LvL 90 Talent. Instant. 6 min cooldown. Incarnation: Chosen of Elune now increases all spell damage by an additional 15% rather than by 25% for specific spells. Incarnation: Tree of Life Shapeshift into the Tree of Life, increasing healing done by 15%, increasing armor by 120%, and granting immunity to Polymorph. Functionality of Lifebloom, Wild Growth, Regrowth, and Entangling Roots is enhanced. You may freely shapeshift in and out of this form for 30 sec, at which point the shapeshift expires Druid – LvL 60 Talent. Instant. 3 min cooldown. Soul of the Forest Casting Swiftmend grants 50% haste for your next spellcast. Druid – LvL 60 Talent. Ursol’s Vortex Conjures a vortex of wind for 10 sec at the destination location that reduces the movement speed of all enemies within 8 yards by 50%. The first time an enemy attempts to leave the vortex, winds will pull that enemy back to its center. Useable in all shapeshift forms. Druid – LvL 75 Talent. 30 yd range. Instant. 60 sec cooldown. Ysera’s Gift heals you for 4% of your maximum health. every 5 sec. If you are at full health, a random nearby injured ally will be healed instead. Druid – LvL 30 Talent. 100 yd range. Glyph of the Stag (New) Your stag form can now be used as a mount by party members. Travel Form will no longer ever activate flight, and Flight Form is learned as a separate ability. Minor Glyph. Binding Shot Fires a magical projectile, tethering the enemy and any other enemies within 5 yards for 10 sec, stunning them for 5 sec if they move more than 5 yards from the arrow. Hunter – LvL 30 Talent. 30 yd range. Instant. 45 sec cooldown. Wyvern Sting A stinging shot that puts the target to sleep for 30 sec. Any damage will cancel the effect. Hunter – LvL 30 Talent. 40 yd range. Instant. 45 sec cooldown. Beast Cleave After you Multi-Shot, your pet’s melee attacks and their multistrikes also strike all other nearby enemy targets for 75% as much for the next 4 sec. Hunter – Beast Mastery Spec. Cobra Shot no longer has spec specific tooltips. Serpent Sting no longer grants you 3 Focus each time it deals damage. Frost Nova Blasts enemies within 12 yds of the caster for [ 1 + 14.92% of Spell Power ] Frost damage and freezes them in place for up to 8 sec. Damage caused may interrupt the effect. 2% of Base Mana. Instant. 30 sec cooldown. Living Bomb The target becomes a Living Bomb, taking [ 4 + 18.75% of Spell Power ] Fire damage over 12 sec. When this effect ends, or the target dies, it explodes to deal an additional [ 37.51% of Spell Power ] Fire damage to the target and all other enemies within 10 yards. May be spread by Inferno Blast. Unlimited range. Instant. Nether Tempest Places a Nether Tempest on the target which deals [ 12 + 3.1% of Spell Power ] Arcane damage over 12 sec. to the target and [ 12 + 37.2% of Spell Power to all enemies within 10 yards. Limit 1 target. Damage increased by 50% per Arcane Charge at cast time. Unlimited range. Instant. Flameglow Protects you with fiery energy, absorbing up to [ 22% of Fire Spell Power ] damage from each attack against you Mage – LvL 30 Talent. Frostjaw Silences and freezes the target in place for 8 sec. Damage caused may interrupt the effect. Mage – LvL 45 Talent. 1% of Base Mana. 30 yd range. 1.5 sec cast. 20 sec cooldown. Ice Floes Your next spell can be cast while moving. Castable while another spell is in progress and unaffected by global cooldown. Max 3 charges. Mage – LvL 15 Talent. Instant. Living Bomb The target becomes a Living Bomb, taking[ 4 + 18.75% of Spell Power ] Fire damage over 12 sec. When this effect ends, or the target dies, it explodes to deal an additional [ 37.51% of Spell Power ] Fire damage to the target and all other enemies within 10 yards. May be spread by Inferno Blast. Mage – LvL 75 Talent. 1.5% of Base Mana. 40 yd range. Instant. Nether Tempest Places a Nether Tempest on the target which deals [ 12 + 3.1% of Spell Power ] Arcane damage over 12 sec.to the target and [ 12 + 37.2% of Spell Power to all enemies within 10 yards. Limit 1 target. Damage increased by 50% per Arcane Charge at cast time. Mage – LvL 75 Talent. 1.5% of Base Mana. 40 yd range. Instant. Prismatic Crystal no longer has spec specific tooltips. Deep Freeze now may be broken by damage, rather than breaking on any damage. Chi Burst (Brewmaster, Windwalker) Hurls a torrent of Chi energy up to 40 yds forward, dealing [ 1 + 203.6% of AP ] Nature damage to all enemies, and AP healing to the Monk and all allies in its path. Chi Burst (Mistweaver) Hurls a torrent of Chi energy up to 40 yds forward, dealing [ 1 + 203.6% of AP ] Nature damage to all enemies, and [ 120% of AP ] healing to the Monk and all allies in its path. Chi Wave (Brewmaster, Windwalker) A wave of Chi energy to flows through friends and foes, dealing [ 1 + 75.7% of AP ] Nature damage or [ 75.7% of AP ] healing. Bounces up to 7 times to targets within 25 yards. Chi Wave (Mistweaver) A wave of Chi energy to flows through friends and foes, dealing [ 1 + 75.7% of AP ] Nature damage or [ 90.8% of AP ] healing. Bounces up to 7 times to targets within 25 yards. Healing Elixirsheals you for 15% of your maximum health when a damaging attack brings you below 35% health, or when you drink a Brew or Tea while injured. This effect can only happen once every 18 sec. Instant. Spinning Crane Kick (Mistweaver) You spin while kicking in the air, dealing [ 658% of Mainhand Min DPS + 69.7% of AP + 658% of Mainhand Max DPS ] damage over 2.2 sec to enemies within 8 yards and 0 [ 197.5% of Spell Power healing over 2.2 sec to allies within 10 yards. Spinning Crane Kick While channeling Spinning Crane Kick, you also heal nearby injured allies for 0 [ 49.38% of Spell Power every 0.75 sec for 2.2 sec. Healing yourself does not count for Chi generation. 3 sec cast. Touch of Death Instantly kills a creature with less health than the Monk’s maximum health. Can also be used on tough creatures when they are below 10% health, dealing damage equal to the Monk’s maximum health to them. Chi. Melee range. Instant. 1.5 min cooldown. Transcendence You split your body and spirit, leaving your spirit behind for 15 min. Use Transcendence: Transfer to swap locations with your spirit. Instant. 45 sec cooldown. Transcendence: Transfer Your body and spirit swap locations 40 yd range. 0.5 sec cast. 25 sec cooldown. Zen Sphere (Brewmaster, Windwalker) Forms a Zen Sphere above the target, healing the target for [ 72% of AP ] over 16 sec;] and dealing [ 1 + 9% of AP ] Nature damage every 2 sec to the nearest enemy within 10 yards After 16 sec, the Zen Sphere detonates, dealing [ 1 + 36.8% of AP ] Nature damage and [ 23.4% of AP ] healing to all targets within 10 yards. Triggered early if dispelled or the target falls below 35% health. Zen Sphere (Mistweaver) Forms a Zen Sphere above the target, healing the target for[ 86.4% of AP ] over 16 sec;] and dealing [ 1 + 9% of AP ] Nature damage every 2 sec to the nearest enemy within 10 yards After 16 sec, the Zen Sphere detonates, dealing [ 1 + 36.8% of AP ] Nature damage and [ 28.1% of AP ] healing to all targets within 10 yards. Triggered early if dispelled or the target falls below 35% health. Zen Sphere: Detonate (Brewmaster, Windwalker) Forms a Zen Sphere above the target, healing the target for [ 72% of AP ] over 16 sec;] and dealing [ 1 + 9% of AP ] Nature damage every 2 sec to the nearest enemy within 10 yards After 16 sec, the Zen Sphere detonates, dealing [ 1 + 36.8% of AP ] Nature damage and [ 23.4% of AP ] healing to all targets within 10 yards. Triggered early if dispelled or the target falls below 35% health. Zen Sphere: Detonate (Mistweaver) Forms a Zen Sphere above the target, healing the target for [ 86.4% of AP ] over 16 sec;] and dealing [ 1 + 9% of AP ] Nature damage every 2 sec to the nearest enemy within 10 yards After 16 sec, the Zen Sphere detonates, dealing [ 1 + 36.8% of AP ] Nature damage and [ 28.1% of AP ] healing to all targets within 10 yards. Triggered early if dispelled or the target falls below 35% health. Zen Sphere: Detonate (Brewmaster, Windwalker) Forms a Zen Sphere above the target, healing the target for[ 72% of AP ] over 16 sec;] and dealing [ 1 + 9% of AP ] Nature damage every 2 sec to the nearest enemy within 10 yards After 16 sec, the Zen Sphere detonates, dealing [ 1 + 36.8% of AP ] Nature damage and [ 23.4% of AP ] healing to all targets within 10 yards. Triggered early if dispelled or the target falls below 35% health. Ascension Increases your maximum Chi by 1, your energy regeneration by 10%, and your maximum mana by 10%. Monk – LvL 45 Talent. Celerity Reduces the cooldown of Roll and Chi Torpedo by 5 sec and, increases their maximum number of charges by 1 Monk – LvL 15 Talent. Charging Ox Wave A mighty Ox effigy rushes forward 30 yards stunning all enemies in its path for 3 sec. Monk – LvL 60 Talent. Instant. 30 sec cooldown. Diffuse Magic Reduces magic damage taken by 90% for 6 sec and transfers all harmful magical effects back to their original caster if possible. Monk – LvL 75 Talent. Instant. 1.5 min cooldown. Healing Elixirs heals you for 15% of your maximum health when a damaging attack brings you below 35% of your maximum health, or health, or when you drink a Brew or Tea while injured. This effect can only happen once every 18 sec. Monk – LvL 75 Talent. Invoke Xuen, the White Tiger Brewmaster: Summon an effigy of Xuen, the White Tiger for 45 sec under your command. Xuen attacks your primary target and strikes 3 enemies within 10 yards every 1 sec with Tiger Lightning for [ 1 + 66.6% of AP ] Nature damage Xuen will also taunt the target, Windwalker, Mistweaver: Summon an effigy of Xuen, the White Tiger for 45 sec under your command. Xuen attacks your primary target and strikes 3 enemies within 10 yards every 1 sec with Tiger Lightning for [ 1 + 66.6% of AP ] Nature damage. Monk – LvL 90 Talent. 40 yd range. Instant. 3 min cooldown. Ring of Peace Form a Ring of Peace around the friendly target for 8 sec incapacitating all enemies for 3 sec. and incapacitating them again each time they attack or cast a harmful spell. Monk – LvL 60 Talent. 40 yd range. Instant. 45 sec cooldown. Rushing Jade Wind (Brewmaster, Windwalker) You summon a whirling tornado around you dealing [ 566.3% of Mainhand Min DPS + 283.1% of Offhand Min DPS + 90% of AP + 566.3% of Mainhand Max DPS + 283.1% of Offhand Max DPS ] damage over 6 sec to enemies within 8 yards . Generates 1 Chi if it hits at least 3 targets. Rushing Jade Wind (Mistweaver) dealing [ 849.4% of Mainhand Min DPS + 90% of AP + 849.4% of Mainhand Max DPS ] damage over 6 sec to enemies within 8 yards . Generates 1 Chi if it hits at least 3 targets. Zen Sphere (Mistweaver) Forms a Zen Sphere above the target, healing the target for [ 86.4% of AP ] over 16 sec;] and dealing [ 1 + 9% of AP ] Nature damage every 2 sec to the nearest enemy within 10 yards After 16 sec, the Zen Sphere detonates, dealing [ 1 + 36.8% of AP ] Nature damage and [ 28.1% of AP ] healing to all targets within 10 yards. Triggered early if dispelled or the target falls below 35% health. Focus and Harmony Haste effects lower the global cooldown of your spells and abilities Your attack power now equals exactly 100% of your spell power. Monk – Mistweaver Spec. Stance of the Spirited Crane improves the functionality of Surging Mist, Blackout Kick, and Crackling Jade Lightning. While in this stance, you will gain Eminence. Eminence 35% of all damage you deal will be converted into healing on an injured ally within 20 yards. 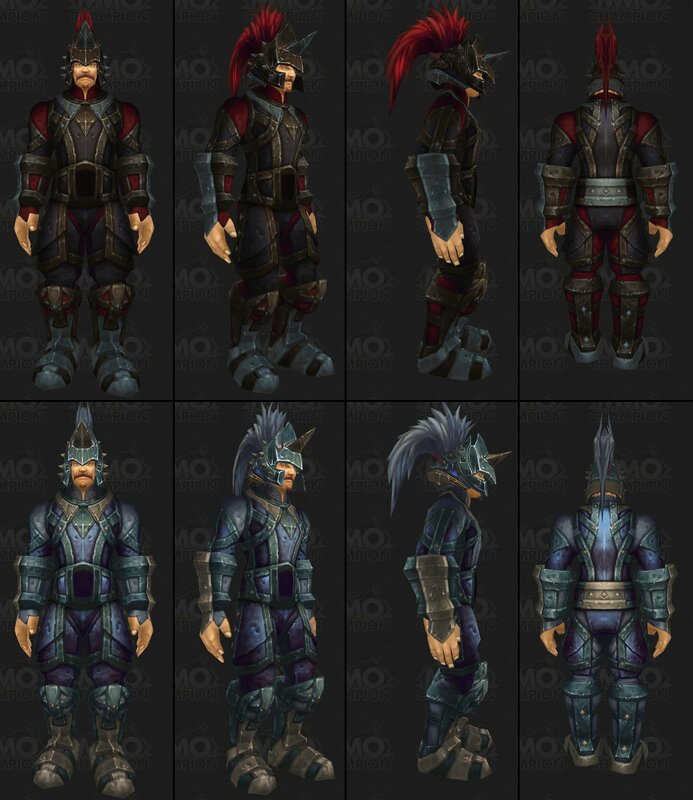 Monk – Mistweaver Spec. Instant. Stance of the Wise Serpent Iincreases healing done by 20%, and improves the functionality of Crackling Jade Lightning and Spinning Crane Kick. 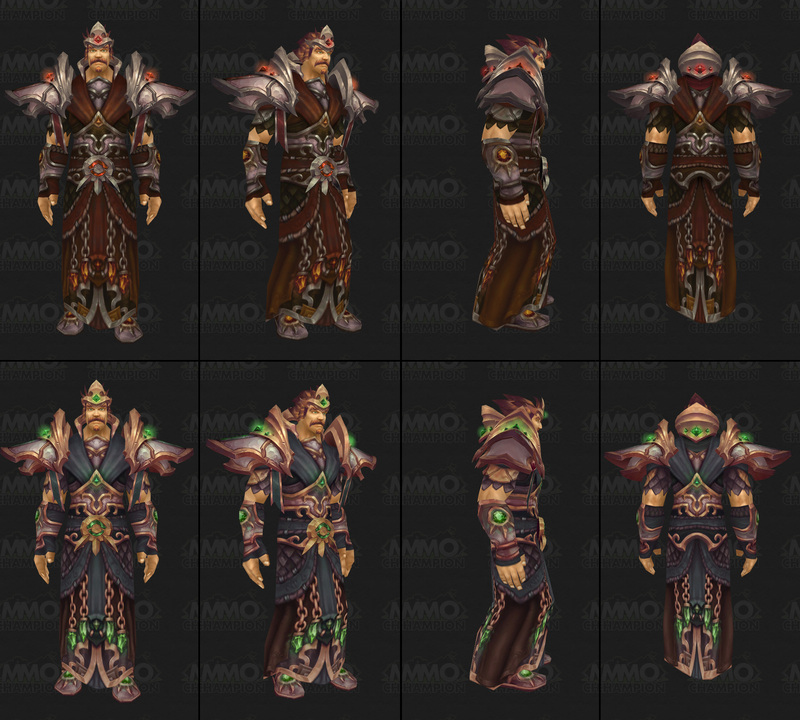 Monk – Mistweaver Spec. Instant. Teachings of the Monastery Causes your Spinning Crane Kick to heal nearby injured allies for 0 [ 49.38% of Spell Power every 0.75 sec for 2.2 sec. Healing yourself does not count for Chi generation from Spinning Crane Kick. Monk – Mistweaver Spec. Execution Sentence A hammer slowly falls from the sky, causing [ 914.2% of Holy Spell Power ] Holy damage over 10 sec. Damage increases over time, culminating in a final burst Dispelling the effect triggers the final burst. Unlimited range. Instant. Harsh Word Consumes up to 3 Holy Power to heal a friendly target for up to [ 264.59% of Spell Power ]. 40 yd range. Instant. Holy Prism A beam of light turns the target into a Holy Prism. An enemy target takes [ 2 + 165% of Spell Power ] Holy damage and radiates [ 2 + 120.58% of Spell Power ] healing to 5 nearby allies within 15 yards. A friendly target is healed for [ 178.93% of Spell Power ] and radiates [ 235% of Spell Power ] Holy damage to 5 nearby enemies within 15 yards. 40 yd range. Instant. 20 sec cooldown. Word of Glory Consumes up to 3 Holy Power to heal a friendly target for [ 264.59% of Spell Power ] per charge of Holy Power. 1 Holy Power. 40 yd range. Instant. 1.5 sec cooldown. Word of Glory Consumes up to 3 Holy Power to heal a friendly target for up to [ 264.59% of Spell Power . 1 Holy Power. 40 yd range. 1.5 sec cast. 1 sec cooldown. Word of Glory Consumes up to 3 Holy Power to heal a friendly target for up to [ 264.59% of Spell Power ]. 40 yd range. Instant. Clemency Your Hand abilities all now have 2 charges. Paladin – LvL 60 Talent. Eternal Flame (Holy) Consumes up to 3 Holy Power to heal an ally for up to [ 1 + 264.59% of Spell Power ] and an additional [ 1 + 16.03% of Spell Power ] every 2 sec for up to 30 sec. Healing over time increased by 50% when cast on self. Eternal Flame (Protection, Retribution) Consumes up to 3 Holy Power to heal an ally for up to [ 1 + 264.59% of Spell Power ] and an additional [ 1 + 16.03% of Spell Power ] every 2 sec for up to 30 sec Healing over time increased by 50% when cast on self. Execution Sentence A hammer slowly falls from the sky, causing [ 914.2% of Holy Spell Power ] Holy damage over 10 sec. Damage increases over time, culminating in a final burst Dispelling the effect triggers the final burst. Stay of Execution On a friendly target, the falling hammer heals for [ 674.2% of Holy Spell Power ] over 10 sec. Healing increases over time, culminating in a final burst Dispelling the effect triggers the final burst. Paladin – LvL 90 Talent. 12.8% of Base Mana. 40 yd range. Instant. 60 sec cooldown. Hand of Purity Places a Hand on the friendly target, reducing damage taken by 10% and damage over time by an additional 80%) for 6 sec. Players may only have one Hand on them per Paladin at any one time. Paladin – LvL 60 Talent. 7% of Base Mana. 40 yd range. Instant. 30 sec cooldown. Holy Prism A beam of light turns the target into a Holy Prism. An enemy target takes [ 2 + 165% of Spell Power ] Holy damage and radiates [ 2 + 120.58% of Spell Power ] healing to 5 nearby allies within 15 yards. A friendly target is healed for [ 178.93% of Spell Power ] and radiates [ 235% of Spell Power ] Holy damage to 5 nearby enemies within 15 yards. Paladin – LvL 90 Talent. 17% of Base Mana. 40 yd range. Instant. 20 sec cooldown. Light’s Hammer Hurls a Light-infused hammer into the ground, where it blasts a 10 yard radius every 2 sec for 14 sec. Each blast Deals [ 2 + 51.68% of Spell Power ] Holy damage to enemies reduces enemy movement speed by 50% for 2 sec. and Heals allies for [ 40.24% of Spell Power Paladin – LvL 90 Talent. 51.9% of Base Mana. 30 yd range. Instant. 60 sec cooldown. Pursuit of Justice Increases your movement speed by 15%, plus an additional 5% for each charge of Holy Power up to 3. Paladin – LvL 15 Talent. Repentance Meditation incapacitates the enemy target for 60 sec. Any damage other than Censure will awaken the target. Usable against Demons, Dragonkin, Giants, Humanoids and Undead. Paladin – LvL 30 Talent. 10% of Base Mana. 30 yd range. 1.7 sec cast. 15 sec cooldown. Sacred Shield Protects the target with a shield of Holy Light for 30 sec. absorbing up to [ 122.9% of Holy Spell Power ] damage every 6 sec.Only one target can be affected at a time. Paladin – LvL 45 Talent. 40 yd range. Instant. 6 sec cooldown. 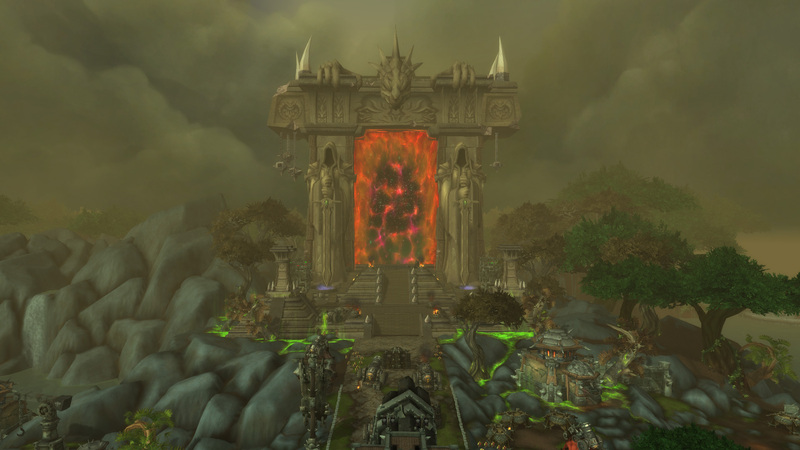 Sanctified Wrath Holy: Avenging Wrath lasts 50% longer and grants more frequent access to one of your abilities while it lasts. 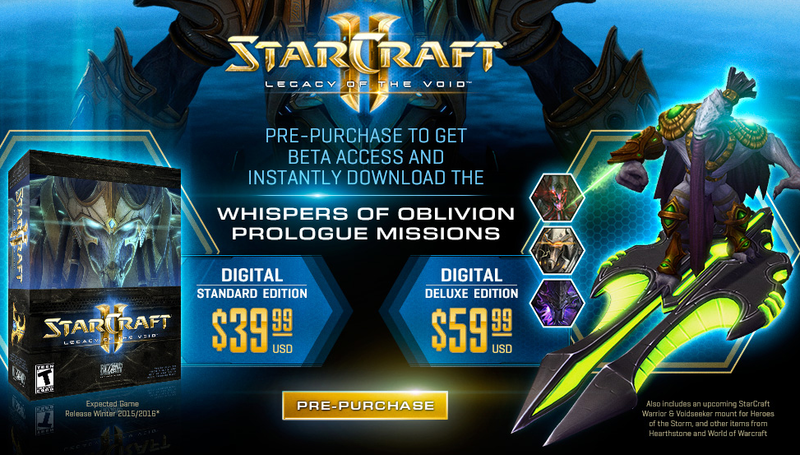 Holy Reduces Holy Shock’s cooldown by 50% and increases its critical strike chance by 20%. Protection: Avenging Wrath lasts 50% longer and grants more frequent access to one of your abilities while it lasts. Protection Reduces Judgment’s cooldown of Judgment by 50%, and causes it to generate one additional Holy Power. Avenging Wrath also increases healing received by 20%. Retribution Avenging Wrath lasts 50% longer and grants more frequent access to one of your abilities while it lasts. Retribution Reduces Hammer of Wrath’s cooldown by 50%. Paladin – LvL 75 Talent. Selfless Healer Your successful Judgments reduce the cast time and mana cost of your next Flash of Light by 35% and increase its effect on others by 20%. Stacks up to 3 times. Paladin – LvL 45 Talent. Daybreak Casting Holy Radiance causes your next Holy Shock to also heal up to 6 allies within 10 yards of the target for 15% of the original healing done. Can accumulate up to 2 charges. Paladin – Holy Spec. Denounce Casts down the enemy with a bolt of Holy Light, causing [ 91.5% of Spell Power ] Holy damage and preventing the target from causing critical effects for the next 4 sec. Paladin – Holy Spec.40 yd range. 1.5 sec cast. Light of Dawn Consumes up to 3 Holy Power to unleash a wave of healing energy, healing 6 injured allies within 30 yards for up to [ 3 + 73.5% of Spell Power ]. Paladin – Holy Spec. 1 Holy Power. 1.5 sec cast. Hand of Salvation (New) Places a Hand on the party or raid member, temporarily removing all their threat for 10 sec. Players may only have one Hand on them per Paladin at any one time. Paladin – Protection Spec. 6% of Base Mana. 40 yd range. Instant. 2 min cooldown. Devouring Plague Consumes up to 3 Shadow Orbs to deal up to [ 1 + 337.5% of Spell Power ] Shadow damage and then up to an additional 100% of the initial damage over 6 sec. Heals the caster for 100% of damage done. Instant. Holy Nova Causes an explosion of holy light around the caster, causing [ 28.6% of Spell Power ] Holy damage to all nearby enemy targets within 12 yards and healing up to 5 nearby targets within 12 yards for [ 46.2% of Spell Power ]. Instant. Power Word: Shield (Discipline) Also grants you Borrowed Time, reducing the cast time or channel time of your next Priest spell within 6 sec by 15%. Prayer of Mending Places a spell on the target that heals them for [ 67% of Spell Power * Percent Health ] the next time they take damage. When the heal occurs, Prayer of Mending jumps to an ally within 20 yards. Jumps up to 5 times and lasts 30 sec after each jump. Unlimited range. Instant. Prayer of Mending Places a spell on the target that heals them for [ 67% of Spell Power * Percent Health ] the next time they take damage. When the heal occurs, Prayer of Mending jumps to an ally within 20 yards. Jumps up to 5 times and lasts 30 sec after each jump. 2.7% of Base Mana. 40 yd range. 1.5 sec cast. 10 sec cooldown. Angelic Bulwark When an attack brings you below 30% health, you gain an absorption shield equal to 15% of your maximum health for 20 sec cannot occur more than once every 90 sec. Priest – LvL 15 Talent. Angelic Feather Place a feather at the target location. granting the first ally to walk through it 60% increased movement speed for 6 sec. Max 3 charges. Only 3 feathers can be placed at one time.Priest – LvL 30 Talent. 40 yd range. Instant. Body and Soul Your Power Word: Shield and Leap of Faith also increase your target’s movement speed by 60% for 4 sec. Priest – LvL 30 Talent. Clarity of Purpose Heals an ally for [ 1 + 492.4% of Spell Power ], increased by up to 100%, based on how injured the target is. Also heals up to 5 injured allies within 10 yards of the target for the same amount. Replaces Prayer of Healing. Priest – LvL 100 Talent. 5.7% of Base Mana. 40 yd range. 2.5 sec cast. Desperate Prayer heals the caster for 22% of maximum health. Priest – LvL 15 Talent. Instant. 2 min cooldown. Divine Insight Your Shadow Word: Pain and Mind Spike damage has a 5% chance to reset the cooldown on Mind Blast and make your next Mind Blast instant. Priest – LvL 75 Talent. Divine Insight Your Greater Heal and Prayer of Healing have a 40% chance to make your next Prayer of Mending not trigger its cooldown and jump to each target instantly. Priest – LvL 75 Talent. Divine Insight Casting Penance causes your next Power Word: Shield ignore and not cause Weakened Soul. Priest – LvL 75 Talent. Insanity Mind Flay deals 33% additional damage to your Devouring Plague victims per Shadow Orb spent on the Devouring Plague. Priest – LvL 45 Talent. Phantasm Activating Fade removes all movement impairing effects and prevents your movement speed from being reduced for 5 sec. Priest – LvL 30 Talent. Power Infusion Infuses the Priest with power for 20 sec, increasing haste by 25% and reducing the mana cost of all spells by 20%. Priest – LvL 75 Talent. Instant. 2 min cooldown. Power Word: Solace (Discipline) Strike an enemy with heavenly power, dealing [ 183.48% of Spell Power ] Holy damage, an additional [ 2.21% of Spell Power ] Holy damage over 7 sec, and restoring 1% of maximum mana. Power Word: Solace (Holy, Shadow) Strike an enemy with heavenly power, dealing [ 183.48% of Spell Power ] Holy damage, an additional [ 2.21% of Spell Power ] Holy damage over 7 sec, and restoring 1% of maximum mana. This damage will heal a nearby injured ally for 100% of the damage dealt or half as much if it heals the Priest. Surge of Darkness your Vampiric Touch and Devouring Plague damage has a 20% chance to cause your next Mind Spike not to consume your damage over time effects, be instant, and deal 50% additional damage. Limit Can accumulate up to 3 charges. Priest – LvL 45 Talent. Surge of Light Your healing spells and Smite have a 10% chance to make your next Flash Heal instant and cost no mana. Can accumulate up to 2 charges. Priest – LvL 45 Talent. Void Tendrils Summons Shadowy tendrils, rooting up to 5 enemy targets within 8 yards for 20 sec or until the tendril is killed. Priest – LvL 60 Talent. 4% of Base Mana. Instant. 30 sec cooldown. Borrowed Time (New) After casting Power Word: Shield, you gain Borrowed Time, reducing the cast time or channel time of your next Priest spell within 6 sec by 15%. 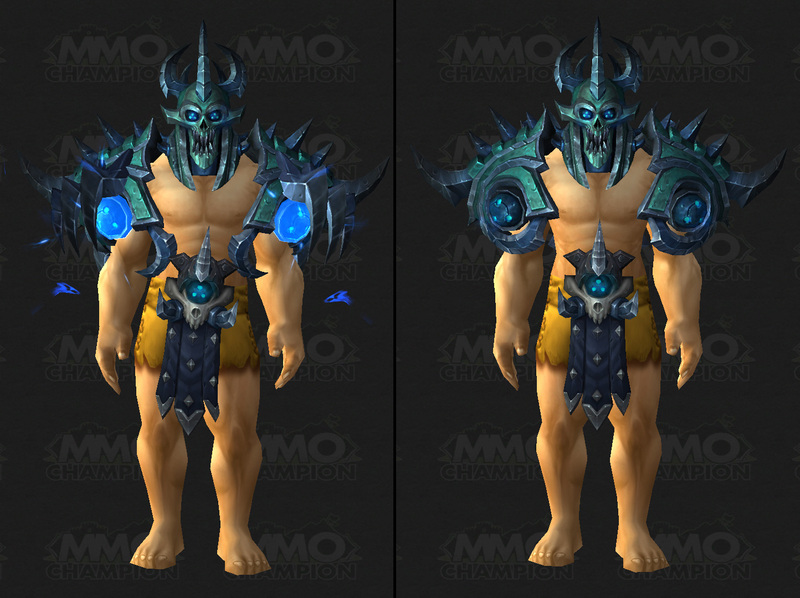 Priest – Discipline Spec. Holy Nova Causes an explosion of holy light around the caster, causing [ 28.6% of Spell Power ] Holy damage to all nearby enemy targets within 12 yards and healing up to 5 nearby targets within 12 yards for [ 46.2% of Spell Power ]. Priest – Discipline Spec. 1.6% of Base Mana. Instant. Circle of Healing Heals up to 5 friendly party or raid members within 30 yards of the target for [ 221.67% of Spell Power ]. Priest – Holy Spec. 4.4% of Base Mana. 40 yd range. Instant. 12 sec cooldown. Mastery: Echo of Light Your direct healing spells and their multistrikes heal for an additional 10.4% over 6 sec. Priest – Holy Spec. Prayer of Healing A powerful prayer heals the friendly target’s party members within 30 yards for 221.66% of Spell Power ]. Priest – Holy & Discipline Spec. 8.8% of Base Mana. 40 yd range. 2.5 sec cast. Devouring Plague Consumes up to 3 Shadow Orbs to deal up to [ 1 + 337.5% of Spell Power ] Shadow damage and then up to an additional 100% of the initial damage over 6 sec. Heals the caster for 100% of damage done. Priest – Shadow Spec. All Shadow Orbs. 40 yd range. Instant. Mind Blast Blasts the target for [ 1 + 207.9% of Spell Power ] Shadow damage and generates 1 Shadow Orbs. Priest – Shadow Spec .1% of Base Mana. 40 yd range. 1.5 sec cast. 9 sec cooldown. Mind Spike Blasts the target for [ 1 + 97.5% of Spell Power ] Shadowfrost damage, but extinguishes your damage over time effects on the target. Priest – Shadow Spec. 0.5% of Base Mana. 40 yd range. 1.5 sec cast. Glyph of Holy Nova Teaches you the ability Holy Nova. Causes an explosion of holy light around the caster, causing [ 28.6% of Spell Power ] Holy damage to all enemy targets within 12 yards and healing up to 5 targets within 12 yards for [ 46.2% of Spell Power ]. Healing is divided among the number of targets healed. These effects cause no threat. Major Glyph. Borrowed Time (New) Name Changed from to Borrowed Time. Glyph of Borrowed Time (New) Your Borrowed Time is now displayed visually. Minor Glyph. Chain Lightning Hurls a lightning bolt at the enemy, dealing [ 1 + 30.66% of Spell Power ] Nature damage and then jumping to additional nearby enemies. Affects 3 total targets. 7.1% of Base Mana. 30 yd range. 2 sec cast. Earthquake (New) An earthquake shakes the target area, dealing 1 Physical damage to enemies every 1 sec, with a 10% chance of knocking them down. 100 yd range. Instant. Improved Fire Totems now also buffs Magma Totem. Earthquake (New) You cause the earth at the target location to tremble and break, dealing [ 112.5% of Nature Spell Power ] Physical damage over 10 sec to enemies in an 8 yard radius, with a 10% chance of knocking down affected targets. Shaman – Elemental Spec. 70.3% of Base Mana. 35 yd range. 2.5 sec cast. 10 sec cooldown. Mastery: Elemental Discharge When you deal direct damage with Lightning Bolt, Chain Lightning, and Earth Shock, you have a 16% chance to gain Electric Charge. At 3 Electric Charges, a Lightning Strike hits the target for [ 200% of Spell Power ] Nature damage. When you deal direct damage with Lava Burst, Lava Beam, and Flame Shock, you have a 16% chance to gain Rising Heat. At 3 Rising Heats, an Eruption hits the target for [ 300% of Spell Power ;] Fire damage. Shaman – Elemental Spec. Lava Burst You hurl molten lava at the target, dealing [ 1 + 77.04% of Spell Power ] Fire damage. Lava Burst will always deal a critical strike. If your Flame Shock is on the target, Lava Burst will deal 50% additional damage. 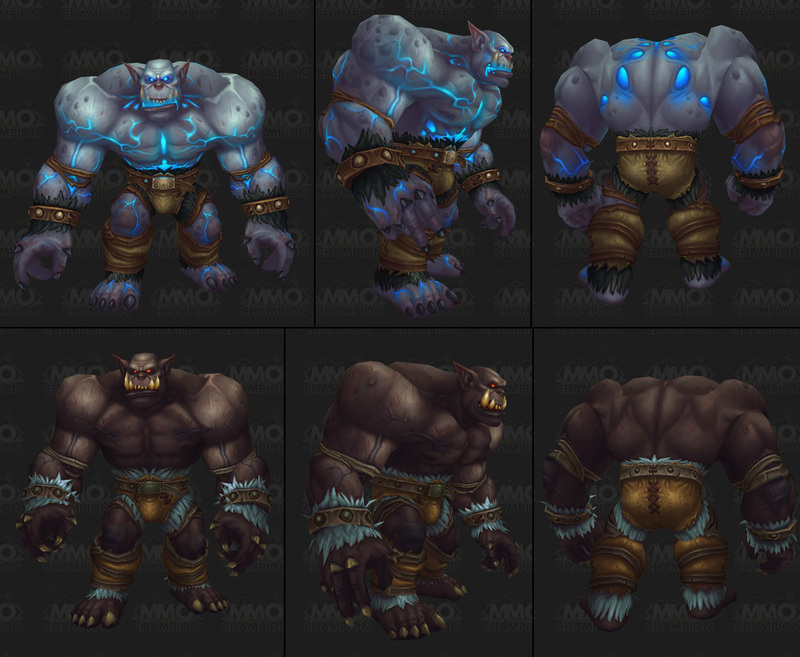 Shaman – Elemental & Restoration Spec. 2% of Base Mana. 30 yd range. 2 sec cast. 8 sec cooldown. Glyph of Unstable Earth Causes your Earthquake spell to also reduce the movement speed of affected targets by 40% for 3 sec. Major Glyph. Soul Swap now costs 1 Soul Shard. Kil’jaeden’s Cunning now has a 1 minute cooldown and 8 sec duration rather than 2 minute cooldown and 15 sec duration. Soul Swap Copies your damage over time effects from the target, preserving their duration. Your next use of Soul Swap will exhale a copy of the effects onto a new target. Soulburn: Applies Corruption, Unstable Affliction, and Agony without removing them from a target. 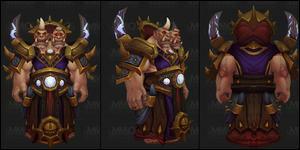 Warlock – Affliction Spec. 1 Soul Shard. 40 yd range. Instant. Whirlwind Off-Hand (Fury) Dealing damage with Whirlwind increases the number of targets that your Raging Blow hits by 1, stacking up to 3 times. Furious Strikes (New) Wild Strike costs 10 less Rage. Warrior – LvL 45 Talent. Heavy Repercussions (New) Shield Slam deals 50% additional damage while Shield Block is active. Warrior – LvL 45 Talent. Slam (New) Name Changed from to Slam. Slam an opponent, causing 50% weapon damage. Each consecutive use of Slam increases the damage dealt by 50% and the Rage cost by 100%. Warrior – LvL 45 Talent. 10 Rage. Melee range. Instant. Sudden Death (New) Your autoattack hits have a 10% chance to make your next Execute free and useable on any target, regardless of health level. Warrior – LvL 45 Talent. Taste for Blood (New) Each time Rend deals damage, you gain 3 Rage. Warrior – LvL 45 Talent. Unquenchable Thirst (New) Bloodthirst no longer has a cooldown. Warrior – LvL 45 Talent. Unyielding Strikes (New) Devastate reduces the Rage cost of Heroic Strike by 6 for 6 sec, stacking up to 5 times. Once this effect reaches 5 applications, its duration will no longer refresh. Warrior – LvL 45 Talent. Rend (New) Wounds the target, causing [ 76.63% of AP ] bleed damage over 18 sec, and a final burst of [ 175.15% of AP ] bleed damage when the effect expires. Warrior – Arms Spec. 10 Rage. Melee range. Instant. Sweeping Strikes Your melee attacks strike an additional nearby opponent for 50% damage. Lasts 10 sec. Warrior – Arms Spec. 30 10 Rage. Instant. 10 sec cooldown. Meat Cleaver (New) Dealing damage with Whirlwind increases the number of targets that your Raging Blow hits by 1, stacking up to 3 times. Warrior – Fury Spec. Whirlwind (Fury) Dealing damage with Whirlwind increases the number of targets that your Raging Blow hits by 1, stacking up to 3 times. Enrage (Protection) Shield Slam and Devasate critical strikes, activating Berserker Rage and critical blocks Enrage you, generating 10 Rage and increasing damage done by 10% for 6 sec.